This beautiful condo is conveniently located on the first floor of Lasata. 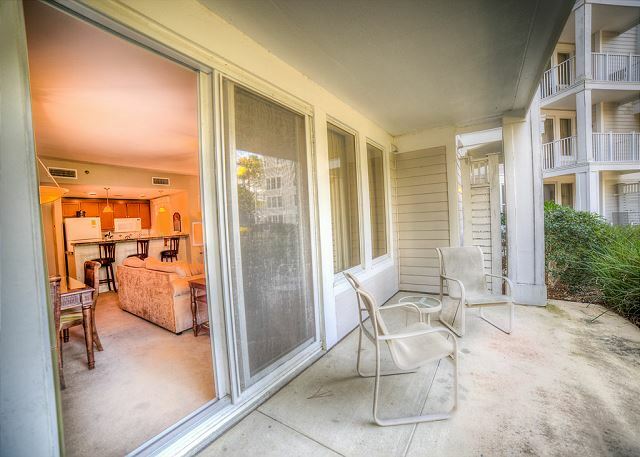 Because of its location, this condo provides ease of access to the lawn and spectacular pool deck. The master suite has a king bed, TV, and bathroom with a double sink. The living area provides a queen sleeper sofa for guest. There is also a full second bathroom. Each room has a TV/DVD for your convenience. 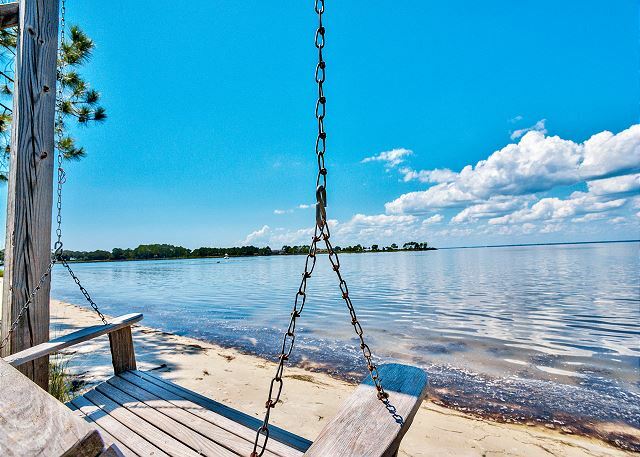 Other amenities include a fully stocked kitchen, washer/dryer combo, and two beach chairs and an umbrella for your use. 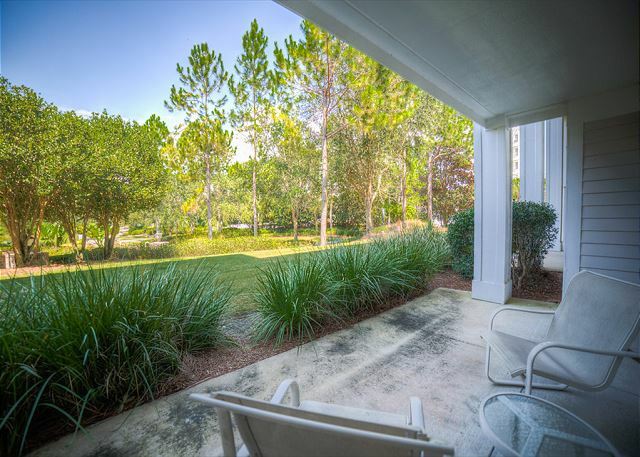 Located in the Village, Just minutes away from the gorgeous sandy white beaches, golf courses, tennis courts, movie theater & outlet mall. Once the sun goes down there's plenty to do in the Village & you don't even have to drive anywhere. We are just steps away from some of the best restaurants, fun & shopping! 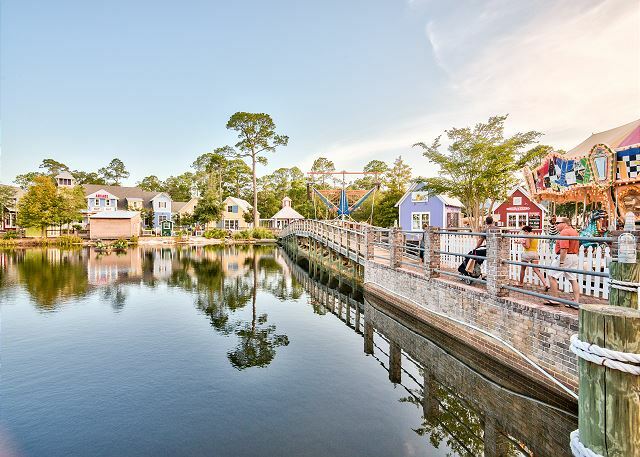 Enjoy the many fun-filled activities the Village offers such as weekly concerts & fireworks show, ride the zip line or carousel, enjoy a magic show, feed the fish, play at the Adventure Landing Playground, take a family bike ride, check out the ice skating rink(winter) & so much more. 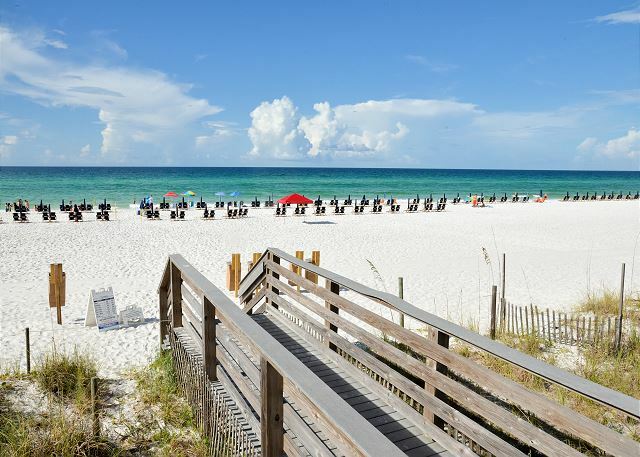 RESORT TRANSPORTATION PROVIDED WITH THIS RENTAL - Owner and Destin Memories participate in the new Sanddollar transportation resort-wide shuttle service. You will be able to use the shuttle during your stay at no additional charge. This service is NOT offered by all owners. Plenty of room for our family of four. 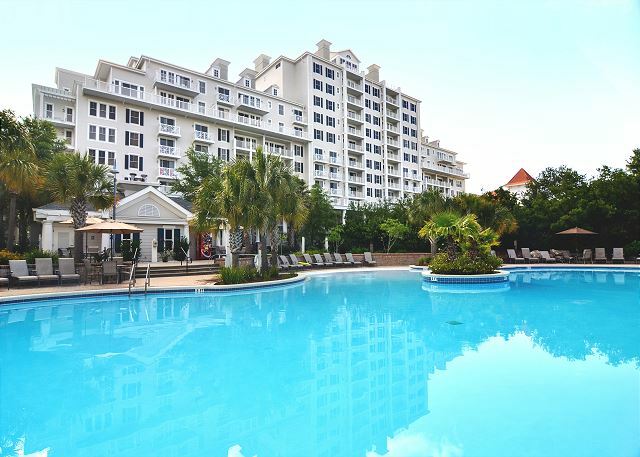 The condo was well-kept and within walking distance to Baytowne Wharf. The walk to the nearest tram stop that takes you to the beach wasn't too far. Probably a 2-3 minute walk. If you've never been to Lasata it might be a little confusing finding the place and where to park. Just ask someone at the front gate and they will help you. Everyone was very friendly. The beach was gorgeous but crowded. Probably would be better to go when school is in.